You are currently browsing the tag archive for the ‘Henri de Busscher’ tag. Orchestral and chamber musician, soloist with countless ensembles, and lifelong teacher and coach Ray Still—a member of the Chicago Symphony Orchestra’s oboe section for forty years, serving as principal for thirty-nine years—died peacefully on March 12, 2014, surrounded by family in Woodstock, Vermont. He was 94. Born on March 12, 1920, in Elwood, Indiana, Still began playing clarinet as a teenager. During the Great Depression, his family moved to California, where he was able to regularly hear performances of the Los Angeles Philharmonic as a volunteer usher. After hearing the masterful technique and elegant phrasing of Henri de Busscher—principal oboe in Los Angeles from 1920 until 1948—Still switched to the oboe. Still graduated from Los Angeles High School and at the age of nineteen joined the Kansas City Philharmonic as second oboe in 1939, where he was a member until 1941 (and also where he met and married Mary Powell Brock in 1940). For the next two years, he studied electrical engineering, served in the reserve US Army Signal Corps, and worked nights at the Douglas Aircraft factory. During the height of World War II, Still joined the US Army in September 1943 and served until June of 1946. Immediately following his honorable discharge from the Army, Still enrolled at the Juilliard School where he studied with Robert Bloom. 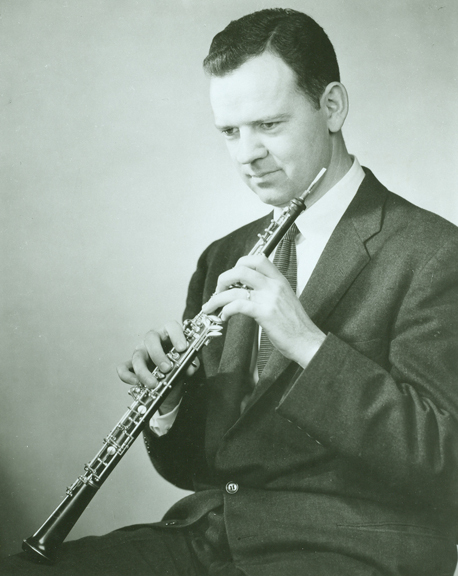 The following year in 1947, he began a two-year tenure as principal oboe with the Buffalo Philharmonic Orchestra under the baton of William Steinberg. 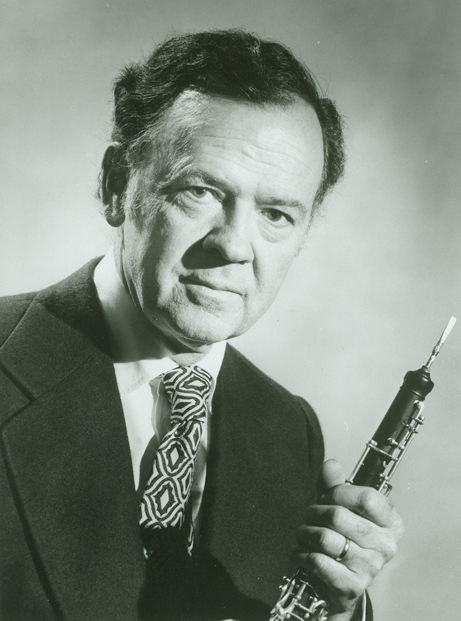 Beginning in 1949, Still was principal oboe of the Baltimore Symphony Orchestra for four years. Fritz Reiner and the newest members of the Orchestra in the fall of 1953. 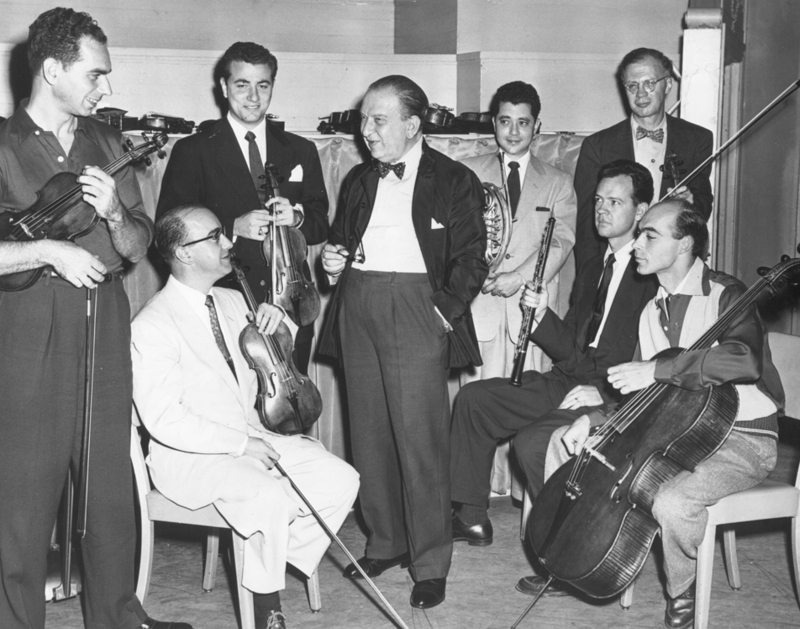 From left to right: Nathan Snader, violin; Juan Cuneo, violin; Joseph Golan, violin; Alan Fuchs, horn; Ray Still, oboe; Sheppard Lehnhoff, viola; and János Starker, cello. In the fall of 1953, Still auditioned for Fritz Reiner, the Chicago Symphony Orchestra’s recently named music director. Reiner invited him to be the Orchestra’s second-chair oboe and the following year promoted him to the principal position. Still would serve the Orchestra in that capacity—under music directors Reiner, Jean Martinon, Sir Georg Solti, and Daniel Barenboim—until his retirement in 1993. Still appeared with the Chicago Symphony Orchestra as soloist on countless occasions, including the Orchestra’s first performances of works for solo oboe by Albinoni, Bach, Barber, Mozart, Richard Strauss, and Telemann. His extensive discography includes Bach’s Wedding Cantata on RCA with Kathleen Battle as soloist and James Levine conducting, and Mozart’s Oboe Concerto in C minor on Deutsche Grammophon with Claudio Abbado conducting. Still performed with numerous other ensembles including the Juilliard, Vermeer, and Fine Arts string quartets; he recorded with Itzhak Perlman, Pinchas Zukerman, and Lynn Harrell; and regularly appeared at many music festivals, including those at Aspen, Stratford, and Marlboro, among others. A tireless educator, Still taught at the Peabody Institute from 1949 until 1953, Roosevelt University from 1954 until 1957, and at Northwestern University for forty-three years until 2003. Throughout his tenure with the Chicago Symphony Orchestra, he coached members of the Civic Orchestra of Chicago. At the invitation of Seiji Ozawa, he spent the summers of 1968 and 1970 as a visiting member of the Japan Philharmonic Orchestra in Tokyo, where he held coaching sessions for the wind section, conducted chamber music classes, and lectured at Toho University. Following his retirement from Northwestern, he moved to Annapolis, Maryland—where he continued to give master classes and lessons—with his beloved wife Mary and son James to live near his daughter Susan. In 2013, he moved to Saxtons River and later Woodstock, Vermont, where he lived near Susan, his granddaughter Madeline, and her two daughters. Still is survived by his daughter and son-in-law, Mimi and Kent Dixon of Springfield, Ohio; his son and daughter-in-law, Tom and Sally Still of Big Timber, Montana; his daughter and son-in-law, Susan Still and Peter Bergstrom of Saxtons River, Vermont; six grandchildren, and three great-grandchildren. He was preceded in death in 2012 by his wife of almost 72 years, Mary Brock Still, and his son James Still. Services will be private and details for a memorial in Chicago are pending. In lieu of flowers, the family asks for donations to the Institute for Learning, Access, and Training at the Chicago Symphony Orchestra. More information can be found at www.raystill.com.